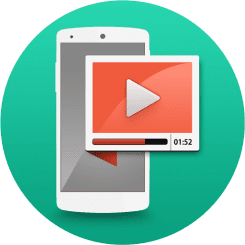 + Multiple video popups support – you can watch multiple videos at the same time. + Background playing support with audio – just listen to your videos in the background like a music video. Notifications tray support while in background. Minimize/maximize support. + Modern UI with Volume and Brightness control with upward / downward swipe on the video media. + Lockscreen support with play, pause, next support. Plays only Audio in lockscreen mode. Play your music video choice – pop music, jazz, rock, k-pop and much more. Get Floating Video player with pop-up today – best quality and reliability! Start multitasking like you do in a desktop PC, laptop or a Mac! Start Floating your videos, movies.